Vine, the social media app known for 6-second video loops, is shutting down. Twitter announced its decision to discontinue the video service in a press release last week. According to Marketing Land, Vine debuted in 2013 when mobile video wasn’t really a thing. But the rise of Snapchat, and the addition of live video capabilities on Facebook and Instagram, has drawn Vine’s top stars, audiences and advertising dollars away from Vine. In addition, rolled out its own native video platform in January 2015, serving as yet another Vine rival, the publication noted. There’s no question that video—especially video on social media—is a powerful marketing tool. Video can help brands capture audience attention, show value and encourage engagement. But how do you make sure your Vine content isn’t lost? Which alternative video platform should your brand turn to? Below we dive into a few tips for moving on with your video endeavors after Vine. 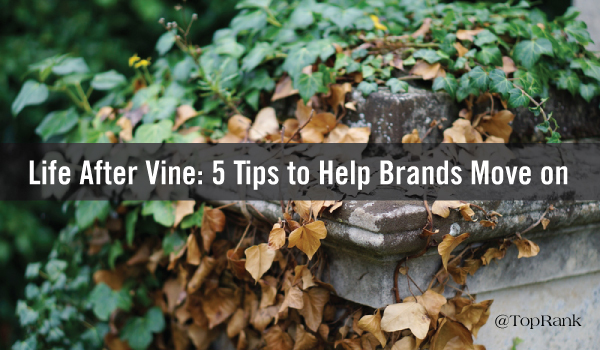 If your brand has invested heavily into Vine as a marketing tool, not all is lost. While the platform offered something very unique, you have other options and you can still access your content for now. #2 – Download (and repurpose) your Vine content. While Vine videos are just six seconds long, that doesn’t mean you didn’t put serious creative effort into making them awesome. Also, these videos are pieces of content. Don’t let them go. While the Vine platform is still alive, it won’t be forever. If you don’t want to lose the content you’ve created, download it to your computer or a storage device. Mic offers a simple how-to guide for doing just that. You can also turn Vine videos into GIFs. GIPHY has created a tool that allows users to convert Vines into GIFs and save them to their GIPHY account. This option not only gives you an easy place to store your content, but also enables you to share that content across any network that allows GIFs—–which is content repurposing in its simplest form. #3 – Consider alternative video options. As mentioned above, there’s no doubt that video is an important tool in your marketing arsenal. Humans are visual creatures by nature, and visual content is a way to catch their eye, further brand awareness and get audience engagement and shares. The more recent addition of Facebook Live allows you to give your audience a window into your company or products in real-time, while also saving it for later viewing. Of course, you can also upload produced videos natively. Like Facebook, Instagram allows you to natively record video or upload video right from your mobile device. But your video has to be between three and 60 seconds. Click here to learn more about video on Instagram. 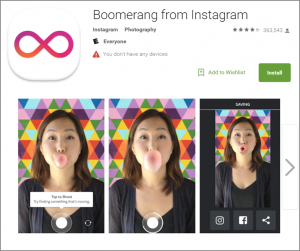 In addition, if what you loved about Vine was the video looping, Instagram’s Boomerang app could be a potential alternative. The app takes 10 photos and stitches them together, speeds up the video and then loops it back and forth. 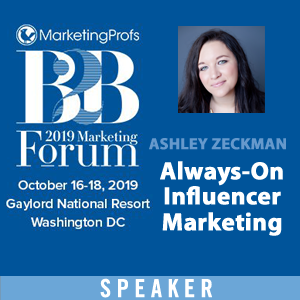 While Snapchat could’ve easily become a passing trend, it’s proving to be an increasingly embraced space for sharing fun, raw and engaging visual content—presenting both B2C and B2B brands with an awesome opportunity to grow brand affinity and audience engagement. And with the platform’s more recent addition of Snapchat Stories, this gives your snaps a little more accessibility and staying power. Despite the video options on other social networks, YouTube is still a leader in the video world. YouTube videos are easily shared on social media and can be embedded into website or blog pages, too. In addition, you can optimize your channel page with brand information, website links and links to other social media profiles. Here’s an example from HubSpot. Like Facebook and Instagram, Twitter also allows you to shoot video or upload video from your mobile device. You can also edit that video before posting. Learn more about video on Twitter here. As far as choosing a platform, don’t force it. Ultimately, your choice should depend on who your audience is and what resonates with them, as well as what your overall marketing and business objectives are. #4 – Continue to focus on building your brand. If you’re shifting your video efforts to a new platform, don’t forget why you’re doing video in the first place: to build brand awareness and engagement with your audience. How will this platform help improve perceptions of our brand and purchase funnel? How will this platform amplify the impact of the dollars we’re investing in other media? Which platform/channel will we take time and money away from in order to develop custom content for this one? How much of the urge to explore this channel is simple fear of being left behind? For more of her insights, you can read the full article. If there’s anything that brands and marketers can agree with these days it’s that media channels can come and go quickly. So, your efforts should be spread across established, young and emerging media channels. 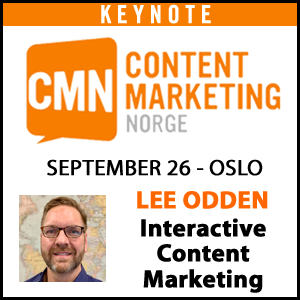 This will allow you to experiment with new things and refine your marketing efforts regularly. How do you feel about Vine’s shut down? Mad? Sad? Happy? Indifferent? Share your thoughts in the comments section below. I like that this article addressed the reality that a platform can end at any time and its important to stay flexible, taking the strategy you were using and apply it to a different platform based on your needs. Moreover, I liked the idea of turning your Vine content into GIFS a useful tip. GIFS have become exceedingly popular getting incorporated across all platforms including Imessage. All platforms are incorporating video capabilities maybe thanks to Vine, showing the popularity of videos and the future of communication. I personally am sad to see Vine go it had some of the funniest and weirdest content out there and definitely helped inspire people to use their wackiness to gain popularity. Thanks for reading and commenting, Jasmine!